The Korean Central News Agency released a commentary Friday titled, “Who Is Chiefly to Blame for Plagued Situation on Korean Peninsula,” in which blames the US with bringing the region to the brink of nuclear war. It also vows to continue its preparations for a nuclear war. A nuclear war between the US and North Korea would be a worldwide nightmare, which could open the door to a larger theater conflict with China and Russia. Even if the US refrains from using nuclear weapons, analysts project that a war between North Korea and the United States, along with its allies, could take months to conclude. In those months, North Korea is likely to respond in a number of ways. To understand their potential responses, we need to examine their military capabilities. North Korea has between 13-21 nuclear weapons, similar to the atom bombs dropped on Hiroshima and Nagasaki at the end of World War II. In other words, their nuclear weapons are physically large, unlikely to fit on a missile, and measured in kilotons of TNT, not megatons like those of the United States and Russia. Nonetheless, US nuclear weapons during World War II killed 250,000 Japanese. Therefore, if they find any way to deliver their nuclear weapons, millions could die. One way that North Korea may attempt to deliver its nuclear weapons is by ballistic missiles. North Korea’s missile arsenal includes artillery rockets, derived from World War II designs, to medium-range missiles, of questionable reliability, able to strike targets in the Pacific Ocean. While this appears relatively crude by US military standards, it still presents a threat to the Asian region, even if the missiles only use conventional explosives. Some analysts suggest that North Korea may be intentionally making small atomic bombs, similar to the tactical nuclear weapons of the United States and Russia, to enable deployment in their medium range missiles. Tactical nuclear weapons have a multi-kiloton punch that could devastate cities like Seoul and Tokyo, killing millions. In 2012, North Korea began parading its intercontinental ballistic missiles, the KN-08 and KN-14, carried and launched by specifically built truck. The missiles are in the early development stage and analysts question if North Korea has the capability to target them accurately. However, there is little doubt that North Korea is focusing on building reliable long-range missiles with the capability to reach the mainland United States. A second way North Korea could deliver its nuclear weapons is by smuggling them out of North Korea in containers on cargo ships. Using this method, North Korea could inflict serious damage and casualties to ports anywhere in the world. Crime syndicates currently use shipping containers to smuggle narcotics, weapons, stolen property, and humans to countries around the world. With over 17 million shipping containers in circulation, it would be hard to detect those that contain a nuclear weapon, especially if the detonation occurs while the container is still aboard the ship. North Korea has the world’s largest army, the Korean People’s Army (KPA) with 1,106,000 active and 8,389,000 reserve troops, including the world’s largest Special Forces unit. In short, almost every able-bodied male has extensive military training. However, beyond the military training, a former defector claims that every North Korean soldier spends 60% of their time exposed to a form of “brainwashing.” Most North Koreans join the KPA when are 17 to 18 years old and serve a mandatory 10 years if they are male, 6 years if they are female. At that age, they are highly impressionable and just beginning to form their values and opinions of the world. 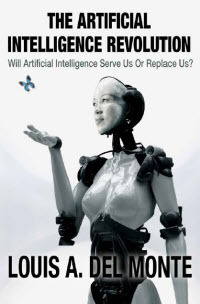 North Korea tightly controls all communications and they learn protecting their leader, Kim Jung-un, is their sacred duty, and they must obey all commands. This suggests that any invasion of North Korea will meet staunch resistance and may degrade into guerrilla warfare. North Korea’s diverse conventional weapons arsenal includes approximately 3,700 tanks, 2,100 armored personnel carriers and infantry fighting vehicles, 17,900 artillery pieces, 11,000 anti-aircraft guns, 10,000 shoulder-launched surface-to-air missiles and anti-tank guided missiles, 1,600 fighter aircraft, and 1,000 warships, among them 70 submarines, making it the world’s largest submarine fleet. Given the sheer numbers of their conventional weapons, even a preemptive strike would be unlikely to destroy North Korea’s entire capability. Inevitably, they would strike back. South Korea, Japan, and US forces in the region would be their high priority targets. Since Soul, the capital of South Korea, and its 24 million inhabitants, is less than 40 miles south of the North Korean border, even conventional artillery and rockets have the potential to kill millions. 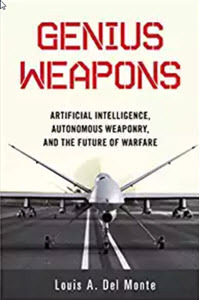 In 2014, the South Korean Defense Ministry estimated that North had stockpiled 2,500 to 5,000 tons of chemical weapons and had a capacity to produce a variety of biological weapons. North Korea’s tons of chemical weapons include nerve, blister, blood, and vomiting agents, as well as some biological weapons, including anthrax, smallpox, and cholera. North Korea could deliver the chemical and biological weapons via artillery and missiles. They have missiles capable of reaching targets in South Korea and Japan. It is also possible that North Korea has already smuggled biological weapons into the countries they consider adversarial. Given the “brainwashing” of their soldiers, North Korea could launch “kamikaze” style attacks, sending infected agents to mingle with the adversary’s populace. North Korea is a signatory to the Geneva Protocol, which prohibits the use of chemical weapons in warfare, and to the Biological and Toxins Weapons Convention (BTWC), which prohibits the development, production and stockpiling of bacteriological (biological) and toxin weapons. However, there is already evidence they will not adhere to either treaty. For example, evidence suggests North Korea is responsible for the assassination of Kim Jong-un’s half-brother Kim Jong-nam, who was critical of Kim Jong-un’s regime. Authorities allege that North Korean agents sprayed VX nerve agent in Kim Jong-nam’s face, causing his death. The Geneva Conventions, which establish the standards of international law for humanitarian treatment in war, does not cover nanoweapons. 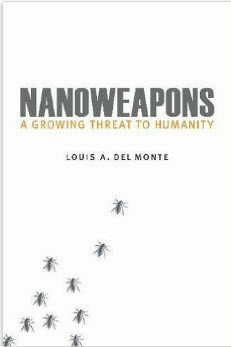 In my book, Nanoweapons: A Growing Threat To Humanity (Potomac Books 2017), I made the observation that China’s offensive nanoweapons capabilities may benefit from their alliance with North Korea and vice versa. Therefore, North Korea could deploy the simplest of nanoweapons, such as toxic nanoparticles, which mimic chemical weapons, and still be within the standards of international law. Any conflict with North Korea is likely to trigger them to use all weapons at their disposal. Such a conflict would leave a million dead. Efforts to unify the North and South would face extreme ideological barriers. All communication in the North vilifies its adversaries and raises Kim Jung-un to the level of a deity. Any war with North Korea may open the door to a wider conflict. The Sino-North Korean Mutual Aid and Cooperation Friendship Treaty bind China and North Korea, which includes provisions for either country to come to the aid of the other in the event of an attack.